Harvest Realty, established in 2006 is part of a dynamic real estate industry in South East Melbourne, focused on building a partnership with its client in buying, selling, building, renting and investing. It is an innovative and informative real estate agency supported by skillful and experienced staff members. Whether in Sales or Rentals, we follow through from the beginning – appraisal through keys handover. We negotiate the terms and prices that best suits the interest of all parties ensuring that we do not just sell or rent but builds continuous relationships. Our successful reputation is due to the satisfaction and loyalty of our many clients and partners alike. We believe in rising above and beyond any challenges to meet our clients and partners needs, no matter what they may be. Harvest Realty endeavours to deliver substantial benefits to its employees and its clientele through its services and networking management with excellent quality and highly potential skills. Its aim is to be an outstanding place for the real estate activities by providing very high level of service & quality and well-researched data in the real estate industry for its clientele with the highest degree of integrity and professionalism. Both the Sales and Rental department are supported by our Administration team in general office activities including reception, secretarial, bookkeeping and other administrative duties. excellent role model and a significant player in the industry, know for its quality services and management skills of the business . Harvest Realty has established itself in Hampton Park, Lyndhurst, Lynbrook, Narre Warren, Hallam, Berwick, Cranbourne, Clyde, Pakenham, Dandenong and Beaconsfield. In the recent years, had extended its representation suburbs to Frankston South, Mount Waverley, Williams Landing, Dalmore, Truganina and Wontaggi and other surrounding suburbs to accommodate the needs of its clients. 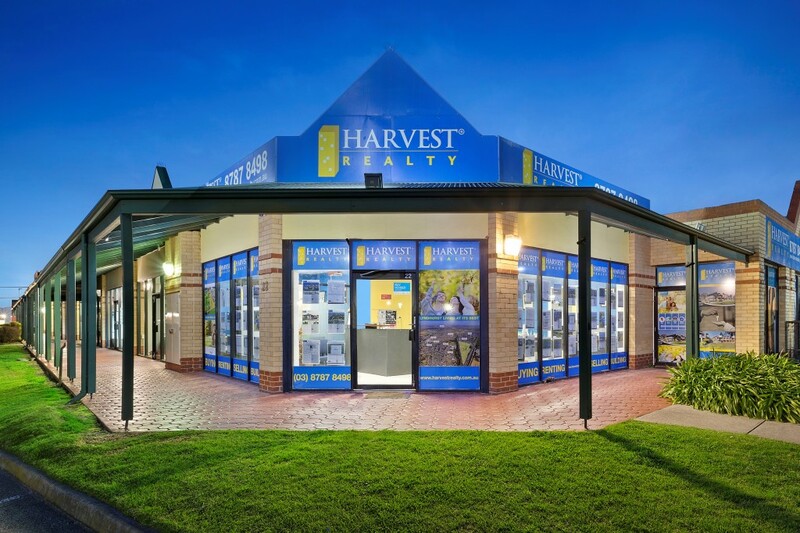 Harvest Realty’s vision is to be a leading real estate agent in the City of Casey and beyond. A well known name that generates confidence and reliability and it is the first choice for all areas in real estate.